Enjoy a relaxing getaway overlooking the water at this cozy bungalow close to town. You'll be within walking distance to local restaurants and more along Commercial Street, plus you'll have all the comforts of home with a large deck and a gas grill for outdoor entertaining. Located in Boothbay Harbor, about a half mile from town, this charming cottage-style home is right on the small bay inlet of Mill Cove. This popular harbor town is in the Midcoast Maine region about 58 miles north of Portland. With an influx of yachting fans and whale watchers in the summer, this historic industrial village is now a popular vacation destination. Inside, comfortable furnishings and traditional decor will make you feel right at home. Relax in the living room on the comfy sofa, and watch a show on the flatscreen cable TV with a DVD player. This home also has free WiFi. Turn on some tunes and enjoy cooking up your favorite meals in the fully equipped kitchen. You'll have plenty of counter space for prepping food, plus a dishwasher for easy cleanup. Dine all together at the kitchen table with seating for four, overlooking the water and greenery outside. For an al fresco meal, head out to the lovely spacious deck. There's a gas grill for your BBQ favorites, plus an outdoor table with seating for six. Relax outside with the greenery and water as your backdrop. Each bedroom features a queen-size bed with plush linens, while the full bathroom is in the hall and has a tub/shower combo. You'll also have a private washer/dryer in this home for your convenience, along with a furnace to keep you nice and toasty on those chilly Maine nights. For family activities inside, there are also several games available for a fun game night. For amenities and restaurants, simply walk on over to town on Boothbay Harbor. Commercial Street features several harbor-side restaurants with all kinds of delicious seafood, from classic lobster rolls to fresh oysters. In town, there's also the Pythian Opera House for cool local shows. For a family-friendly outing, the Maine State Aquarium is nearby as well. A visit to Boothbay Harbor isn't complete without a tour of the local lighthouses. This small village town is home to two historic lighthouses - the Burnt Island Light Station and the Ram Island Light Station. If you're looking for a sea-faring adventure, plan a boating trip to Damariscove Island or Indiantown Island - both are just off the shore from the harbor and feature amazing wildlife and nature hikes. 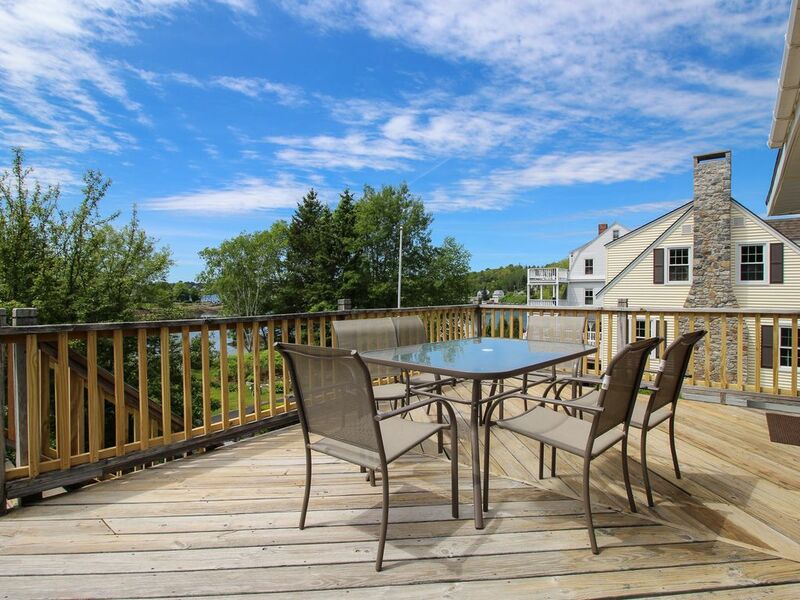 Get ready for an amazing Maine getaway at this charming seaside home - book your Boothbay Harbor trip today! Parking Notes: Parking is behind the home. The driveway is on the right side of the house.